More that 30 individuals who have made the pilgrimage to Nazareth Hospital in Kenya have had their hearts touched by the top scholars from Allamano School, located on the property adjacent to Nazareth Hospital. 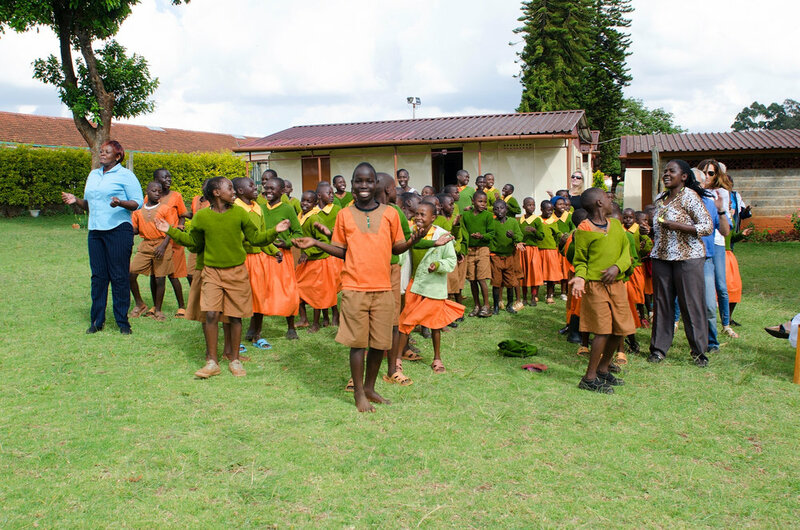 They chose to sponsor the continuing education of one or more children upon their completion of Class 2 (our second grade) or Class 3 (our third grade) through the completion of high school (Form 4 in Kenya - our 12th grade). I had the rich privilege of visiting with 15 parents of our sponsored scholars on Wednesday (including the mother of Gideon, the scholar Ann and I have sponsored for many years), together with George, who teaches at the Allamano School and supervises all of our sponsored scholars . During our time together, we all offered prayer, parents offered effusive Asante sanas. I was struck by their humility and their hope. I felt the presence of God, like I was sitting on holy ground. I wish each of you could have been there. One mother said "As pickers in the tea fields, we do hard back-breaking work, and had no hope for our children. Those who sponsor our children to get an education give us hope for our children's futures." I was deeply moved by how God first called all of us here, and then to sponsorship, and how He employed us, as His instruments, to offer hope, at least to these children, at this time and in this place. I can only offer praise and thanks to our Lord for calling me here, to meet Gideon years ago, and for moving my heart to serve as Gideon's sponsor. With deep humility and gratitude, I thank God. Asante sana.